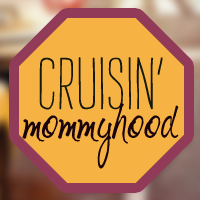 I am so excited to feature Frances Amper Sales here at Cruisin’ Mommyhood’s Super Mom! Who doesn’t know her!? 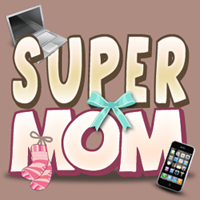 If you are a mom like me who is active in social media, I am quite certain that you follow her blogs and her Twitter account. She is successful in her career, she owns popular blogs with impressive page views and loyal followers and above all, she has a happy family. She is Vince’s wife and Vito and Iñigo’s mom. She is a writer. She works as Editor-in-Chief of OK! 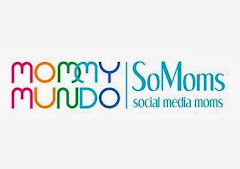 Philippines (so sad that the December issue will be their last issue) and she writes for her three blogs (Topaz Mommy, Topaz Horizon and Beauty for a Living). She is a work-out-of-home AND a work-at-home mom! I love seeing the latest photos of her gorgeous sons, reading about her recommended products and brands and of course, Fashion Friday. But I read her blogs, especially Topaz Mommy, because she is humble, sincere and honest. She writes from the heart. Anyone can set up a blog and write about anything and everything. But only a few can inspire, motivate and influence. Needless to say, Frances’ blogs do just that - inspire, motivate and influence. I aspire not for her number of page views, likes and followers but for her positive disposition in life. Enjoy reading as much as I did... I'm sure you will learn a lot! My life starts at 5 in the morning because my 2-year-old Vito and 5-month-old Iñigo wake up at the crack of dawn. They wake each other up! Then they wake me up. By then, I've only had 3 hours of sleep since I sleep at 2am. Anyway, I hand them over to their yayas and I sleep. I wake up at around 8 and I express breast milk. My kids are at the playground so I have a quiet breakfast, usually alone, sometimes with my husband, writer Vince Sales. I usually use this quiet time to check the articles I wrote/edited the night before. I do a final edit and then I email them to my magazine staff or to my clients. This is also the time I email to-do lists to my staff. The kids come home at 9am and we play! Then I breastfeed the baby and chat with the toddler. Then they nap. This is when I start preparing to go to work. I shower quickly, dress up, then eat lunch with my husband. Then off to the office or to meetings and events I go. After 2-3 hours at work, I go home to breastfeed the baby and check on Vito, who's usually busy with Papa Preschool! At around 4pm, the kids go to the playground and I go back to the office. I work a couple of hours more then I go home again. If I come home early enough, I play with the kids at the playground. Evenings are a noisy affair. Bath time for the toddler, preparing dinner, eating dinner, watching TV with Vince. We tuck the kids to bed, Vince and I squeeze the babies between us. We talk about our day with hushed voices. It's my favorite time of the day. By 10pm, we go our separate ways—our home offices! We both write for a living. Vince is a book author and freelance writer, I do magazine work plus blogging and other writing jobs. And we both manage a small eBay business. Anyway, I do eBay (check payments, send invoices, pack products for shipping), then I edit magazine articles, then I blog. All these are interspersed with breastfeeding sessions! Finally, at 2am, I crawl into bed!!! I'm really lucky to have the job that I have. It allows me so much freedom and I am very grateful. 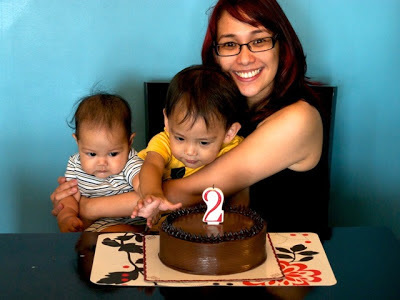 You are a wife and a mom of two, you are a writer and own 3 blogs plus you work as editor in chief of a popular magazine, what is your rule of thumb in managing time and setting priorities? Prioritize the family. Always. A lot of women are very proud of multi-tasking. In my experience, it doesn't work. I tried. I really really did. But I can tell you that preparing dinner while giving your toddler a bath is a very bad idea. I've brought the baby to meetings and while the people in the room are very understanding, breastfeeding the baby or rocking him to sleep definitely distracts from my image as a professional. I have friends who have their nanny cam live on their work PCs and they confess to me that they just stare at the live feed instead of working! What works for me is be extremely efficient. Do the task well and finish it as soon as possible then move on to the next. And while you're doing that task, focus on that and that alone, whether it's work, errands or the kids. For example, when I'm editing or blogging at night, I am really focused on the task. But when Iñigo cries, I drop everything and breastfeed him. I focus on nursing him instead of feeling annoyed that I was taken away from my work. I don't see this as a distraction or a bother because above all else, family comes first! Once you know what your priorities are, things fall into place. This is the only way my life is possible. Oh, and the help and support of my husband. Plus, really trustworthy yayas! Who is your role model? How was she able to influence your character as a mom? Gwyneth Paltrow. I love her. She's my role model. She was a movie star and then she turned her back on her career when she got married and had her kids. She was gone from the spotlight for 5 years, which is eternity in Hollywood. Everyone said she was a has-been. This never bothered her. She said (and I wish I had the exact quote) that she's already reached the pinnacle of success in her mid-20s so it was time to move on to the next great adventure—marriage and kids! And now she's this huge star again, but not as a movie star but as a lifestyle guru and cookbook author. She's created a new career from her devotion to her family! I want that. I've already reached the pinnacle of my career in my early 30s. What's next? I think it's time for me to slow down, breathe, love. I just want to be with my kids. They grow up so fast! That's why, even with my flexible work schedule, I'm leaving the magazine world and focusing on being a wife and mom. I've had my fun being a career woman. Now it's time for me to enjoy fully all that marriage and motherhood has to offer! Then, maybe if I'm lucky, a few years from now, I can create a career from being a mom, just like Gwyneth! Actually, being a mom isn't going to stop me from writing. I have my blogs, which earn me decent money. I can still write articles for magazines and websites. I can still write a book! I really see motherhood as my next career move and being a writer allows me so much freedom! I'm grateful this is the work that was given me. Any tips for working moms (whether at home or in an office) about spending time with family? When you're with your family, be present. Be there! Look into their eyes. Listen to them. Give them a hug. Hold their hand. I've learned—to my relief—that it's not really the hours you spend with your husband and kids; it's really about how you spend that time. You may be together all day but if you're too busy picking up after them, nagging them, trying to be perfect, I bet they'd rather you were somewhere else! For example, my toddler Vito is very independent. It's enough for him that I give him my full attention when he's showing me something. "Mama, look. Flower!" After I drop everything and make my oohs and ahhhs and then we sniff the flower and talk about the colors, he'll be satisfied and then run off, happy and content. All it took was a minute! So don't feel guilty when you're at the office all day. You don't need to hover over your kids for them to realise your love. Just be there when they need you. And most times, all they really need is a hug, a kiss, a smile, a tickle. OK! 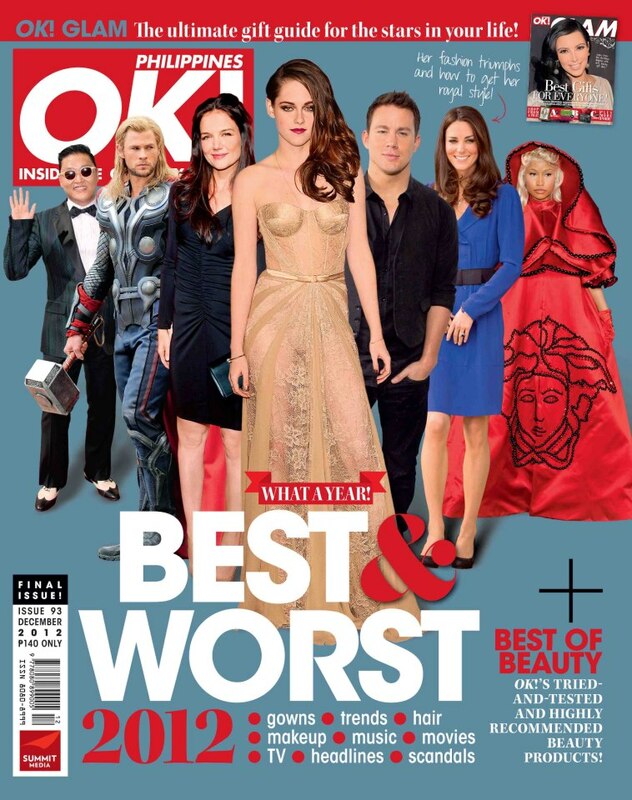 's December (the last) Issue is now available at your favorite bookstores.